Comparisons to Cam Newton & Ben Roethlisberger. Check. 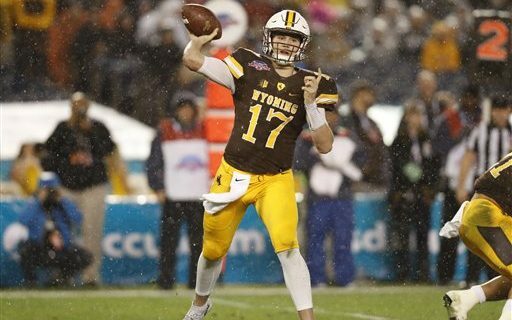 Although he’s gotten a lot of love as a possible number one overall pick, no analysis of Wyoming’s Josh Allen fails to mention his 56% career completion percentage. Some scouts and NFL experts are willing to overlook that, while they praise Allen for the other qualities. Buffalo Sports Page contributor & Pro Football Weekly Draft Guide author Greg Gabriel is not. The inaccuracy has become part of the narrative about Allen. But is it really true? To get some inside information on Allen and his accuracy issues, I reached out to someone who has seen him throw every college pass he’s thrown at Wyoming. Longtime Cowboys radio color analyst Kevin McKinney knows Allen, knows what the coaches asked of him, knows what Allen had around him and knows how the games dictated Allen’s play. “It’s amusing to hear what everybody’s saying about a guy that most haven’t even seen play. The thing that makes me cringe the most is that ‘he’s not accurate’ and ‘doesn’t make good decisions.’ That could not be further from the truth. The guy is a great leader and he won a lot of games for Wyoming that they would not have won had Josh not been at quarterback. His completion percentage is down because, quite frankly, he was running for his life. Sometimes it’s hard to make good decisions when you’re on the run,” said McKinney. Following up on the completion percentage issue, McKinney says a loss of three receiving weapons and three starters on the offensive line played a major role in Allen’s stats. Wyoming’s offense asked Allen to throw the ball deep, without a lot of short, easy throws. McKinney says the Cowboys offense did not run a lot of screens and bubble screen plays, the kind that contribute to a higher completion percentage. Deep outs and fly patterns were a staple of what Allen was asked to do. McKinney has seen Allen’s arm strength. He called it an “amazing gift.” But he also saw Allen back off a bit on the hard throws at his pro day to show his versatility to NFL scouts. Allen knows those deep ball, 50 to 60 yards throws only happen a few times in an NFL game. Much like the Eagles’ Carson Wentz, Josh Allen comes from a lower level school. The other connection to Wentz is Wyoming head coach Craig Bohl, who coached Wentz at North Dakota State. “He compares them very favorably. They both have big arms. They’re both able to extend plays with their feet and get out of trouble. Josh is a lot like Carson in that way,” relates McKinney. Bohl has said that Allen may need more time to get ready for the NFL than Wentz, who started the first game of his rookie season. 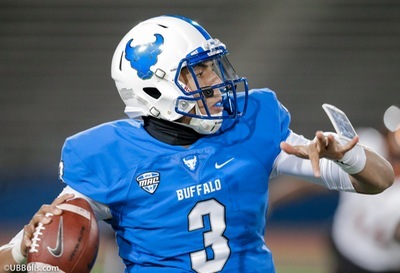 After listening to McKinney describe what he’s seen from Allen, there is some reason to believe that Allen can improve his completion percentage with better coaching and better weapons. So while it may be true now, Allen will have a chance to change that. For me, the completion percentage is still a worry. Even during his junior year, when he had all those weapons and a veteran offensive line, his completion percentage (56.0%) was LOWER than the senior year that McKinney explained (56.3%). The old NFL saying is that you can’t teach accuracy, and in the pros, it never gets better. So any NFL team that takes Allen will have to understand this, and tailor their offense to his strengths, which is his arm strength. None of the QB prospects are perfect. Because of his size and arm, Allen will be a top 10 pick. Narrative or not.